I received Stewart who is a Male African grey, 21 and has been handed around to 5 homes, 2 house fires, and was abused by many woman in his life. I know nothing about birds but he came to me and didn't attack like he does, so I brought him home. It's been 6 months and he and I are becoming friends slowly. He still bites and I am working on that. He REFUSES to go to any female at all. My wife speaks with him endlessly and he replys, but will not allow her to hold him. With all the issues I'm facing, the most pressing one is his absolute fear of things. Steward only eats his seed. Nothing else ever. Everything scares him and he throws his head back and screams like a child scared to death. More human like than bird. A stick, broom, vacuum, or even crying to cover his cage causes him to scream so much. It's so sad to witness. Now my amazing daughter has moved back home and into his room. Sometimes when she walks in at night, her shadow will make his scream so loud, it wakes the entire house. I have nowhere else to put him. Any advice to solve this first issue would be so helpful. It is so sad that Stewart has been badly treated in the past. This won't be helping his behaviour and will have made him more anxious but it is very common for Greys to be afraid of all sorts of things, they are generally nervous birds, so don't worry too much about this. It is also common that they do sometimes prefer one gender over the other. Again, his treatment by women won't have helped but it could be that he prefers men to women anyway. I have a female who prefers women to men. They will usually have a different relationship with each family member and will be particular about who can touch them, who can pick them up. Sometimes they will only go to one person. Always tell him what are you are going to do, always tell him what an object is and make sure you move the item (such as a broom or vacuum cleaner) slowly, try to keep it on the other side of yourself to start with. Mitzi used to be terrified of the vacuum cleaner but now she knows what it does and will actually ask for it when she knows it is needed. Try draping the cover over part of the cage and then gradually moving it down. Keep reassuring him when he screams. I do all the things you have advised other than the sheet starting with just a corner. Great advice and I will try it. I put a salt lamp in today so there will be some form of light so when my daughter enters the room he can see her over just a silhouette. I am so grateful for your responce and advice. I have so many questions and am not to savy with the internet. So grateful for this site! Greys are so often afraid of things. It can take them weeks to get used to new things. I have two identical sets of soft perches. When I take out one set to wash them and replace them with the other identical set, Chyloe is afraid of them and avoids them for days. My husband reached above Chy's head to take down a valance over the window and Chy went into her raptor screech. I am surprised when a new toy doesn't frighten her. It usually takes a few days then the toy gets destroyed in two days. Chyloe also prefers women although she will sit on hubby's arm and if she is in trouble like the time she fell down behind the sofa, she will let him pick her up. Keep up the good work with Stewart. We are here if you have other questions. Thanks so much for rescuing Stewart! Have a lot of patience and hopefully he will settle down and be your best friend. It may take some time and just take things slow. Stewarts moving around hasn't helped, he needs stability. I adopted my grey, Sheeba, about 7 years ago, she was a difficult case with a lot of aggressive biting and hated women. At least she accepts me and will accept some women, but not all. She is afraid of new things on occasion but has mellowed out a bit, though new toys will terrify her depending on the material and size. Good luck and please let us all know if we can be of more help. hank you everyone for your kind responses. It's so appreciated. Stewart is afraid of everything. Toys, you name it, takes weeks to even start. I am working very slowly on baths. It may one day happen lol. Bought a set up to maybe lean towards a shower one day. I want to give him fruit. Anything really. He just wont take any at all. Any advice on nuts and if they can be shelled or maybe deshelled? I might have luck there. I give Chyloe nuts as part of her regular food so she doesn't think of them as treats except for cashews. I save cashews to be a treat. Peanuts are high in fat so I like to avoid them. It is important not to give peanuts in the shell because of the risk of Aspergillus which is a common type of fungus that could be deadly. The bird would hold the peanut shell under its nose as it chewed the shell so would breathe in the fungus. 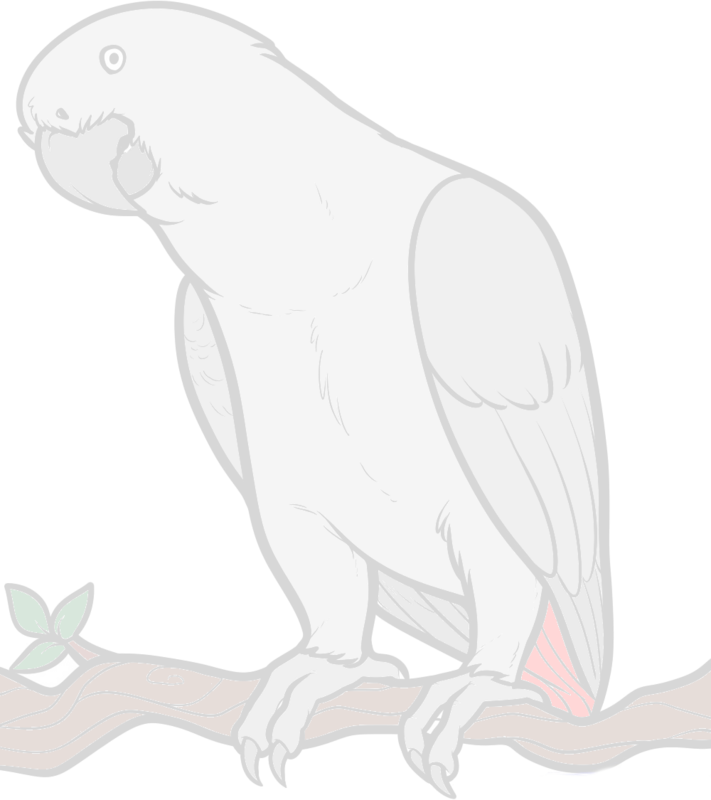 The best way to get your parrot to eat something new is to eat it yourself in front of him. When I am eating, Chyloe keeps saying, "It's good eh?". That means she wants a taste. Then she wipes her beak on my clothes after she shares my food. She loves grapes, apple, and orange in particular.